Family Yoga with Catherine Reid | Catherine Reid - B.A., R.Y.T. Looking for something to do as a family? Missing your yoga since the baby was born? I’ll come to your house, yoga props in tow! No need for a babysitter. Sure, the practice will be different (isn’t everything, now? 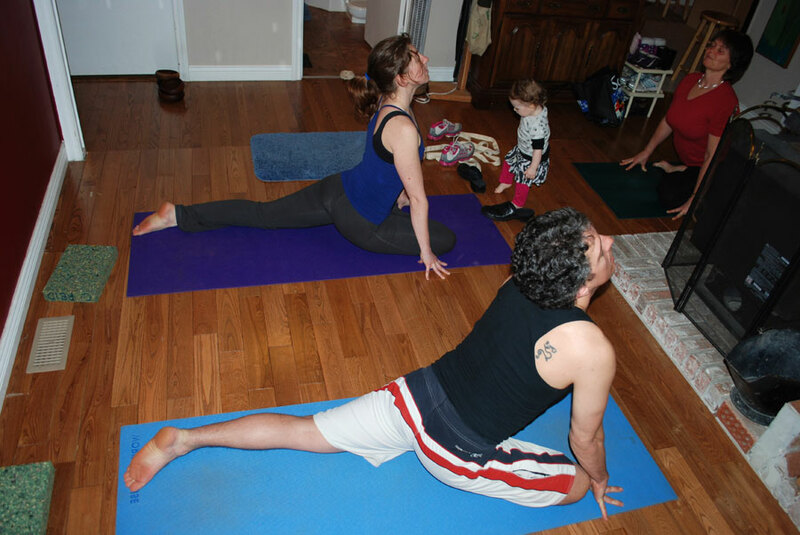 ), but you’ll still experience the benefits of yoga that you loved before the birth of your child. New to yoga? Classes will be exactly at the level with which you’re comfortable. Flexibility in my schedule ensures that we’ll fit these sessions into your family life. Contact me to arrange a session today. Hi, I was looking at the family yoga page on your website and am curious to know what you charge for this?